A cover is the set of finite factors of a bi-infinite word. 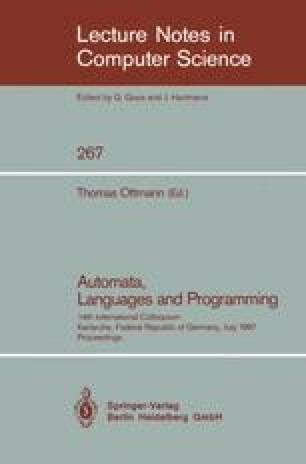 It is quite clear that a rational cover is recognized by a trimmed automaton in the following sense : in every state q, there exists a transition beginning in q and a transition ending in q; furthermore every state is an initial and a final state. We prove here that every rational cover is recognized by a minimal deterministic trimmed automaton Q in the sense of Eilenberg  : if B is a deterministic trimmed automaton which recognizes C, there exists a morphism from B to Q (of course Q is unique save on an isomorphism.